Seating comfort comes in all shapes and sizes and sometimes smaller sofas are exactly what is required. With interior space at a premium, the emphasis on compact furniture grows. A large sofa can overpower a room, making it feel cramped. There are many places in our homes where a cozy small sofa is the perfect seating solution. Not only in living rooms, but kitchens, bedrooms and home offices are all spaces where a smaller sofa can add comfort and flexibility. Compact fabric sofas, such as the Lucinda Quartz Sofa by Ashley Furniture, slot elegantly into tight spaces, as does the Kylee Lagoon Sofa. 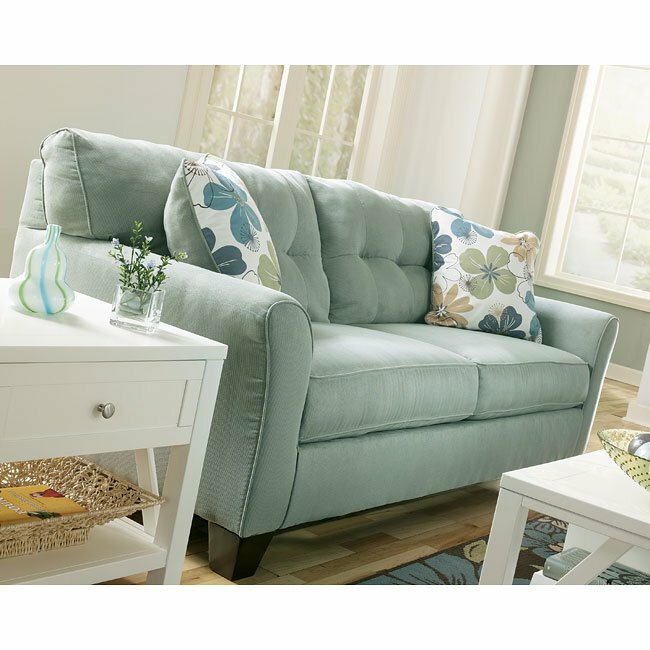 Kylee – Lagoon Sofa by Ashley Furniture[/caption] Rooms without space to accommodate a large sofa can look fantastic when a small sofa is combined with a single armchair or swivel chair. This seating configuration gives maximum flexibility and adds balance to a room. 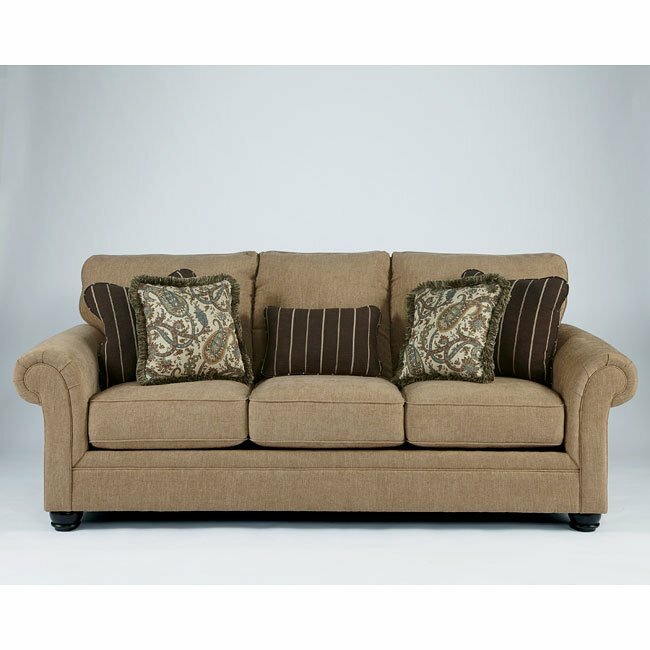 There is no need to squeeze large sofas into small spaces with so many models available in a choice of sizes. 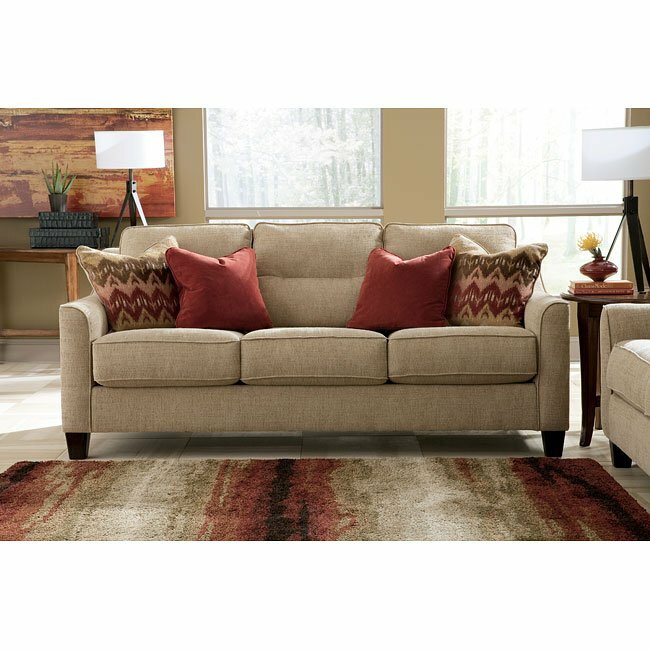 Take the stylish Treylan Smoke Living Room Collection, for example, this contemporary sofa with sleek lines and neutral shades, brings instant style to a room. Classic, timeless designs such as the Davora Caramel compact sofa will not dominate a room but fill it with a sense of easy elegance. The perfect solution for maximum style in minimum space, this classic back sofa comes in tasteful shades of charcoal or heather and has a really sophisticated appeal.